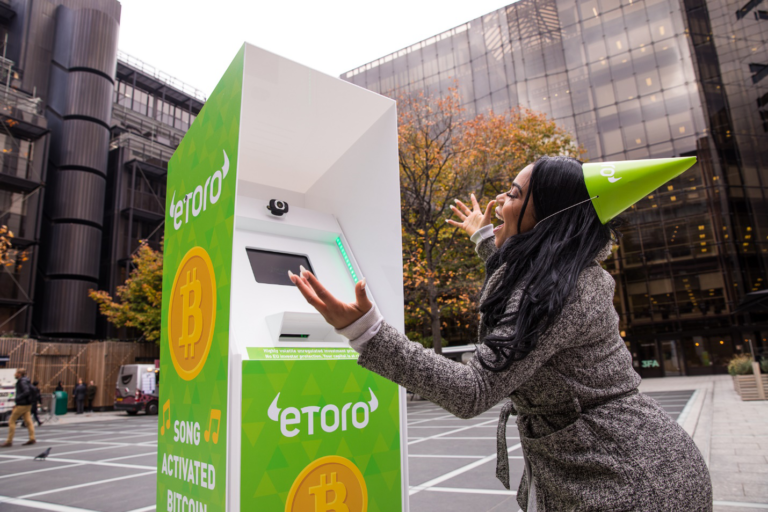 eToro, the global investment platform with over ten million registered users, is helping Brits celebrate the tenth anniversary of Bitcoin today by giving away £10,000 worth of the cryptocurrency via a unique ATM machine that’s activated by song. The machine, that responds when people sing ‘Happy Birthday’ to it, has popped up today (31st October) in London’s Finsbury Avenue Square, 10 years to the day that Bitcoin’s whitepaper was released. The ATM is offering vouchers worth between £20 and £250 in bitcoin to successful singers stepping up to its screen and creating sweet har-money. As well as grabbing free bitcoin rewards, people who visit the ATM can opt to have their singing experience captured on camera for sharing on their social channels with a chance to win a further £1,000 in bitcoin currency. The first of its kind song-activated ATM was made by a specialist team of computer programmers, tech experts and sound engineers. Using advanced audio and voice technology, the ATM detects when a specific melody is being sung to it, in this instance the song ‘happy birthday’ and the volume of the singing. A digital display on the ATM lets users know how loudly they are singing, whether they need to increase their volume and how much of the song they need to complete to activate the dispenser. Publicly announced in 2008 in a white paper entitled Bitcoin: A peer to peer electronic cash system written by an anonymous developer called Satoshi Nakamoto, bitcoin was the first cryptocurrency, allowing people to send and receive payments from one party to another without going through a financial institution. Whilst eToro’s innovative ATM celebrates the ground-breaking 10-year history of bitcoin, the musical machine also looks to the future, encouraging people to explore the possibilities of a currency designed for the digital age. Iqbal V. Gandham, UK Managing Director at eToro says: “Bitcoin has demonstrated resilience over the past decade and remains the world’s dominant crypto. In the next 10 years we could well see the mass adoption of bitcoin for payments and money transfer. WHAT: The eToro Bitcoin Birthday ATM is free to use and is available on a first-sing-first-win basis. Those who can demonstrate their singing skills will be in with a chance of receiving a voucher for the equivalent amount in bitcoin. eToro empowers people to invest on their own terms. The platform enables people to invest in the assets they want, from stocks and commodities to cryptoassets. eToro is a global community of more than ten million registered users who share their investment strategies; and anyone can follow the approaches of those who have been the most successful. Due to the simplicity of the platform users can easily buy, hold and sell assets, monitor their portfolio in real time, and transact whenever they want. eToro is regulated in Europe by Cyprus Securities and Exchange Commission and regulated by the Financial Conduct Authority in the UK. 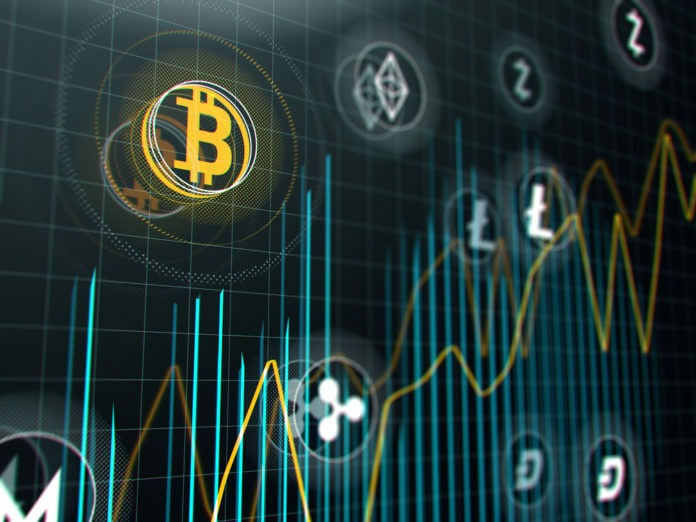 Cryptoassets are a highly volatile, non-regulated investment product and are not appropriate for all investors. No EU investor protection. Your capital is at risk. Past performance is not an indication of future results. 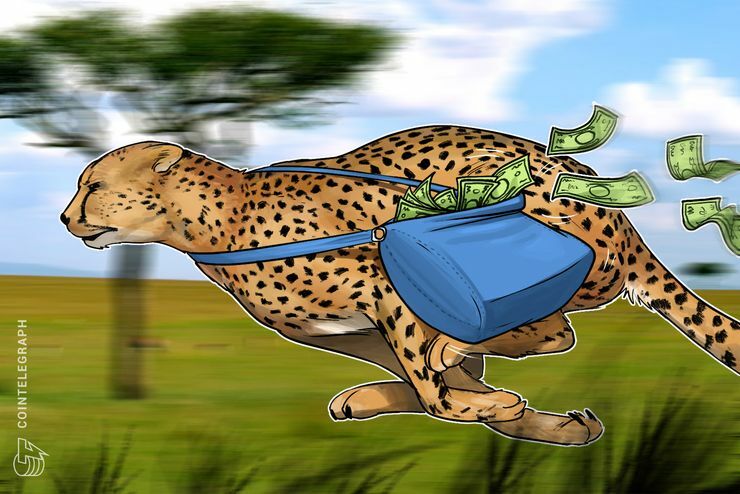 The post Cryptocurrency Going For A Song On Bitcoin’s 10th Birthday appeared first on Global Coin Report.